EQ2Wire are thrilled to announce that we have just posted all of our photos from the Fan Faire Banquet & Costume Contest, including multiple shots of every contestant, and a ton of photos of the wedding proposal you’ve been hearing about. It was a great moment and it was tremendous to be present for it. Random Photos.. and Othmir illusion? 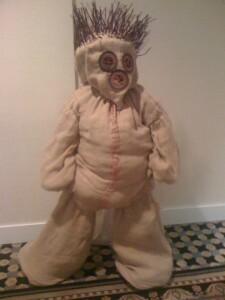 [Rystall] Costume contest winner “Billy”!!! If you have followed past Fan Faires particularly the costume contests, the big news tonight was Snickers, the froglok paladin, proposing to his long time on-again off-again girlfriend first outside EQ and then, by chance, meeting again in-game. There is lots still to post. 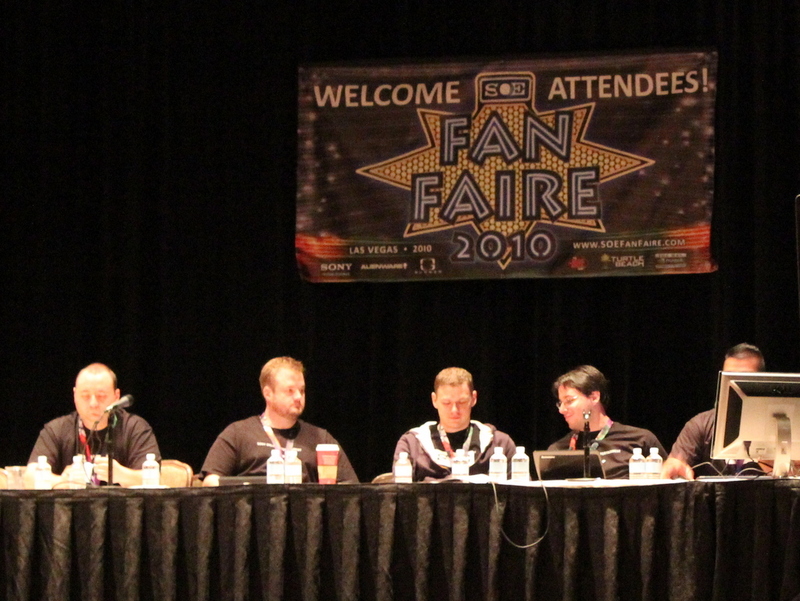 More photos, those videos, and commentary in the aftermath of Fan Faire 2010. I talked to more devs, and more players to try to have a perspective on the whole game, not just parts of the game. 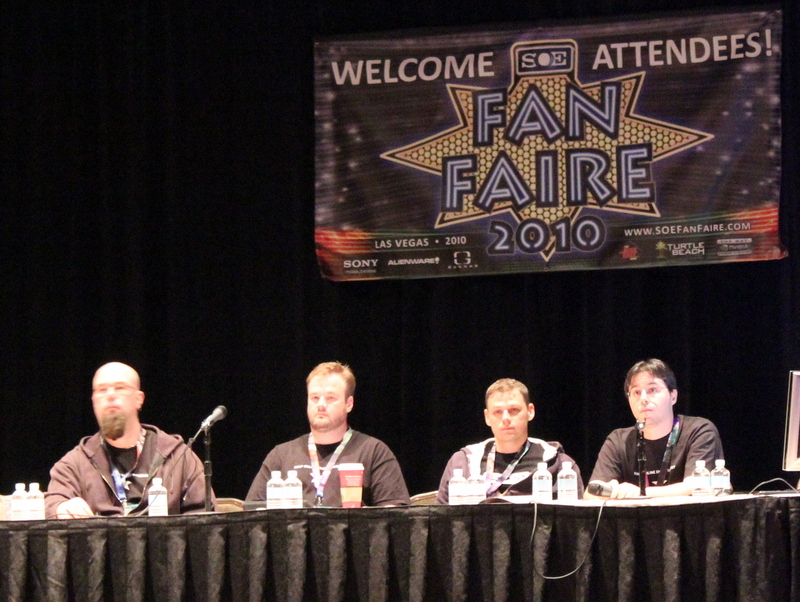 EQ2 Mechanics and Class Balance panel. Rich Waters, Greg “Rothgar” Spence, Paul “Frizznik” Carrico, Mike “Xelgad” Ganz. Update: As of 2:00AM CDT I have made some cleanup and additional information added to these notes based on memory. There are 3-4 missing questions which will get filled in after the video is reviewed. The #1 reaction SOE has been receiving from players re: station cash, rmt, and free to play has been a resounding Not in My Back Yard. We commented about this on Wednesday. 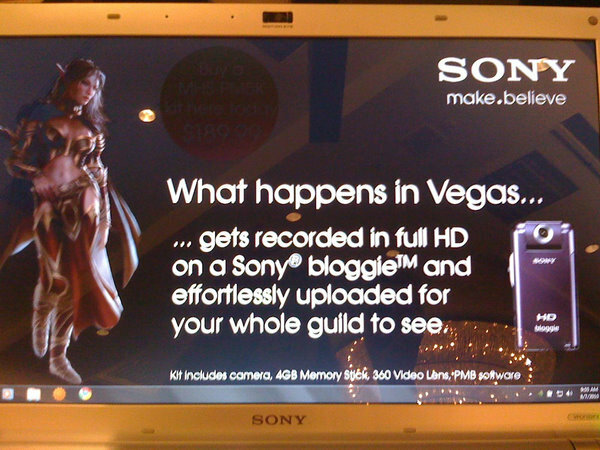 SOE Community Address… Presentation Quality? Basically a 20 minute commercial for Jace Hall. Here’s a canonical summary of the SOE Community Address. At under 50 minutes, this has to have been the shortest Community Address in the history of SOE Fan Faire events. We were advised to expect a ‘light’ event, but nothing could prepare us for nearly 20 minutes of banal, juvenile humor and heavy promotion for all things Jace Hall Productions. If you saw EverCracked, you get the idea.